Online mortgage marketplace HashChing has added several new features to its website in an effort to simplify the home loan comparison process for customers. Key changes include a geotargeting feature that automatically directs visitors to negotiated deals available in their state, a new predictive analytics engine and a deal comparison option that enables customers to compare up to three deals side-by-side. HashChing CIO Atul Narang said the decision to add new features to the site was driven by feedback from customers, who said it was taking too long to find the best mortgage deal due to all of the page scrolling required. “The solution was to be smarter about how we present home loans to customers. We want to make it as easy and efficient as possible for them to find the right deal,” Mr Narang said. “Rather than overload customers with dozens of options that they need to manually sort through, we have employed geotargeting to filter deals that are relevant to their area,” he said. “We have also employed predictive analytics to add some intelligence to the equation. If plenty of customers from Sydney are interested in a particular deal, for example, then this is prioritised in the list of deals displayed to other Sydney customers. By targeting customers with the right deals at the right times, HashChing is confident that it will boost customer conversion rates significantly. The fintech has also implemented a range of tweaks to its back-end to improve the website’s performance. Switching to a new Amazon Web Services infrastructure means it can now handle thousands of concurrent users. “The existing platform couldn’t keep up. Our business was growing too quickly, and we needed to make some crucial changes to continue scaling effectively,” Mr Narang said. The news comes after HashChing incorporated a machine learning capability into the website last year. This technology is utilised to automatically assign the coveted ‘premium broker’ status to HashChing brokers who meet the requisite criteria, such as conversion rate, response time, reviews, and rating average. While the current conversion rate threshold is 10 per cent, machine learning changes this automatically depending on total conversion rates. This means that if brokers are converting fewer or greater leads overall, then the threshold will decrease or increase accordingly. Since premium brokers are allocated more leads than other brokers, ensuring the right ones are promoted in a timely fashion is paramount for HashChing’s revenue stream, which largely comes from settlements. Late last year, HashChing also introduced a trial of Australia’s first facial recognition system for home loan verification to a limited test group of brokers. This new functionality enables HashChing brokers to satisfy the strict ‘know your client’ (KYC) banking regulations using a completely digital process, speeding up the home loan process by several weeks. Since launching 19 months ago, the business has received more than $3 billion worth of home loan applications. James Mitchell has over eight years’ experience as a financial reporter and is the editor of Wealth and Wellness at Momentum Media. 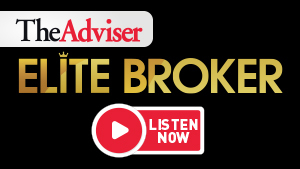 He has a sound pedigree to cover the business of mortgages and the converging financial services sector having reported for leading finance titles InvestorDaily, InvestorWeekly, Accountants Daily, ifa, Mortgage Business, Residential Property Manager, Real Estate Business, SMSF Adviser, Smart Property Investment, and The Adviser. He has also been published in The Daily Telegraph and contributed online to FST Media and Mergermarket, part of the Financial Times Group. James holds a BA (Hons) in English Literature and an MA in Journalism. For news and information that impacts you and your business, subscribe today!